Please note that this will only work when your Inner Energy has been awakened. If you want to awaken your Inner Energy click here. Have a place at home which you design specially for your meditation. Create a small altar and put something there that gives you joy, i.e. a beautiful candle, incense, flowers, or something that has a meaning for you. 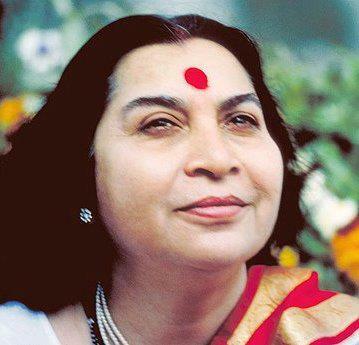 Many people also put the photo of Shri Mataji there as her photos emit very strong vibrations and help deepen the meditation – just try it out, experiment! You should sit in a very comfortable position, it can be on the ground or on a chair. Each time before and after our meditation we raise our energy and give ourselves a “shield of protection”. While doing this you can feel an immediate effect of calming down and relaxing. The seventh energy-center (on top of the head) is the point where our connection with the All-pervading Power happens. When we focus there we allow this power to flow into us, support our Inner Energy and provide us with everything we need. It helps to put your hand on top of your head to focus there for some moments. Try to keep the focus on top of your head throughout the whole session. At the beginning it might be a challenge to focus on two aspects at the same time – i.e. on top of your head and on your hands – but with time it will become easier, it only needs a little bit of practicing. When you feel completely at ease see how your hands are feeling. They can feel cool, warm, heavy, tingling, or just somehow different. When both hands are cool all your three channels are in balance. Click here for a detailed description of the Left Channel, the Right Channel and the Center Channel. If your three channels and all your energy-centers were cool there is no need to balance yourself. You most certainly will be in a joyful mood, feeling at ease with yourself and everyone around. To meditate in such a state will give you deep experiences in your meditation and open up new dimensions of your personality that will just increase your joy of being yourself. If you felt other sensations than cool – which most of the time all of us have – it means that this part needs to be nourished. With time we will try to load up guided meditations for specific aspects. For now we have one guided meditation for balancing the Left and Right Side. 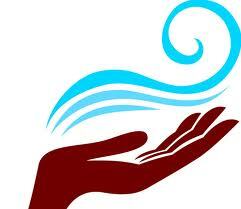 Keep your left hand, palms open, on your lap, put your right hand directly on the energy-center that needs attention. When you meditate in this position for several minutes you allow the energy to flow directly into the energy-center. After some time feel again if the sensation in the respective finger has changed. As we try to answer all requests it might take a little while (normally not more than up to four days) to write back but we most certainly will. Felt vibration on my Bach left Side.what does it mean? If you feel cool vibrations in the left hand it means that your emotional side is in balance. You might experience this by feeling in harmony with yourself and others, being able to let go of negative emotions and being filled with compassion and love for others.